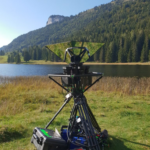 STEREOTEC is the worldwide leading 3D equipment manufacturer and renowned service provider for high quality stereoscopic 3D movie making and 360° content. Our rigs and our service follow the 2 basic ground rules for success: excellent and uncompromising quality and perfect economy to fit every budget – from a small 1-day production to a 60+ days Hollywood production. 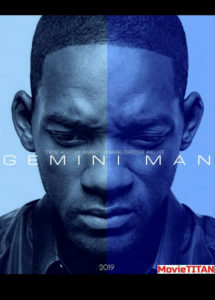 Oscar winning cinematographer Dion Beebe has described using ultra high frame rates to film Ang Lee’s sci-fi actioner Gemini Man, as part of the future of cinema. STEREOTEC supported this movie exclusively with its 3D rigs. Read more at the IBC website here. Stereotec offers high quality 360° VR Recording without the disadvantages of current solutions (GoPro Rigs, Ozo,…). With mirror solutions (Omnicam) and professional cameras like 6 x ARRI Alexa we can achieve a parallax free image without dead spots when objects come close. The resolution is at a minimum of 10 k x 2 k or more. This system can be used for high quality backplates for movies or all high quality 360° content. We recently used this technology to create 360° content for a health institute. They used this material in a special environment to prevent burnout symptoms. 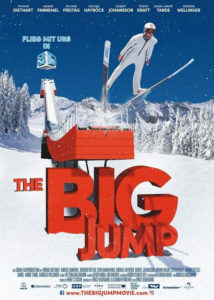 Stereotec was shooting the new 3D Documentary THE BIG JUMP (Sigma Film) that is planned to be released in 3D in cinemas January 2019. 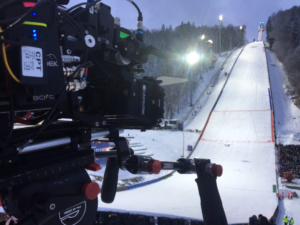 We caught the ski jumping legends in 3D in Kulm and Oberstdorf and visited them during their training in Norway and Austria. Watch out for fascinating 3D shots e.g. jumping with them down the ramp in 3D. Stereotec developed a special 3D helmet camera and portable wireless shoulder cameras for the best shots in 3D. Visit STEREOTEC at this year’s Cinec in Munich at OperTec booth #2-A40 from September 22nd to September 24th. We show our new fully motorized Light Weight Rig Mk2 on the OperTec active head as well as our Nano Rig with the Codex Action Cams.